The 41-cap back-rower has been warned by both club and country after a social media post last week that read "man was made for woman to procreate that was the goal no?" The England star had liked a social media post from Australia's Israel Folau, that stated "hell awaits" for "homosexuals". 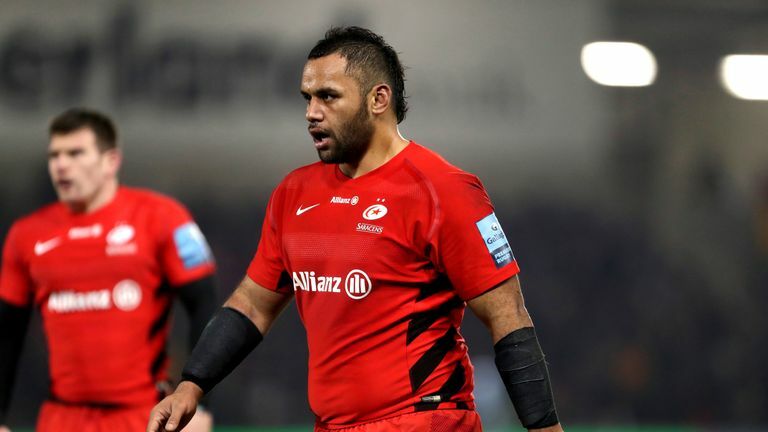 Vunipola had been booed by supporters during Saracens' 23-21 Premiership defeat at Bristol on Saturday, and asked if he hopes fans will not boo Vunipola again, McCall said: "That's not something we can control, to be honest. Whatever happens, will happen. "He has got to deal with that, and we've got to deal with that as a group. It's probably better to expect it to happen, and then wait and see." Asked if he was concerned for Vunipola's mental state, McCall continued: "No. Billy's sensitive, but I think he's also strong. "He's also got a group who, he's been with us for a long time now, and a group who support their team-mates. "They get behind each other from a rugby point of view, and that's what we'll do for this weekend."